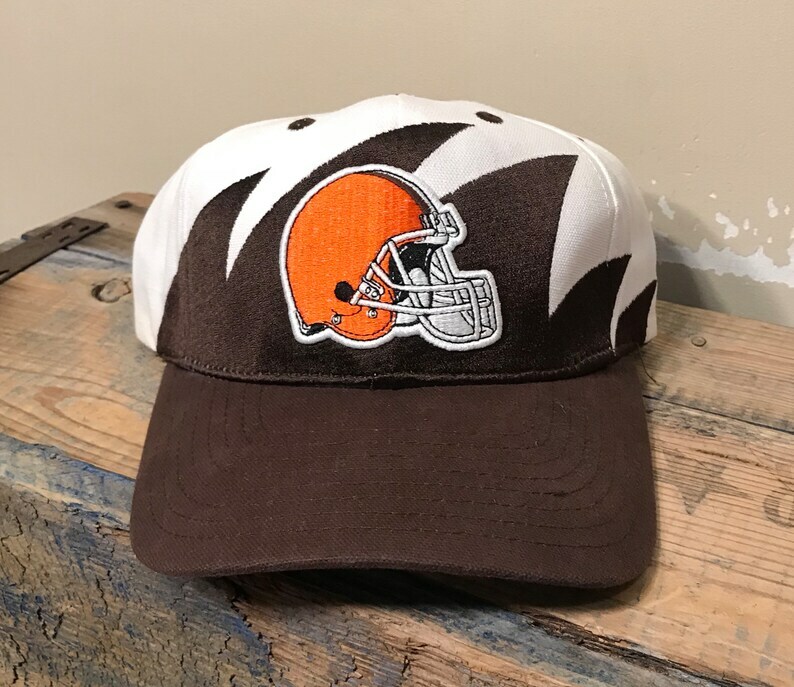 Rare Cleveland Browns shark tooth style hat. Adjustable strap in the back. Adult size. Hats in great shape. Looks like it was never worn or used. Check out pictures to see what you get. Hat will be shipped in a box to keep it from getting damaged.